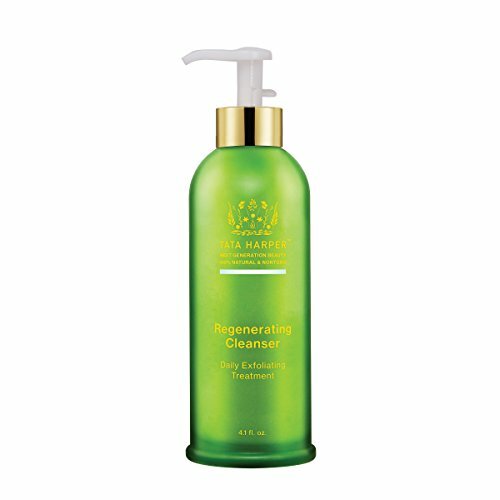 What is Tata Harper Regenerating Cleanser? What’s to remember for the best results? What are the main things to remember? One of the most important steps when to properly take care of your skin is to cleanse it well on regular basis. No matter how powerful your serum may be or hydrating your typical face cream, a good cleanser is going to cleanse your skin, removing the dirt and impurities and preparing the skin for the following skin care products. The Regenerating Cleanser from Tata is an exfoliating and clarifying treatment that addresses the oily and combination skin. 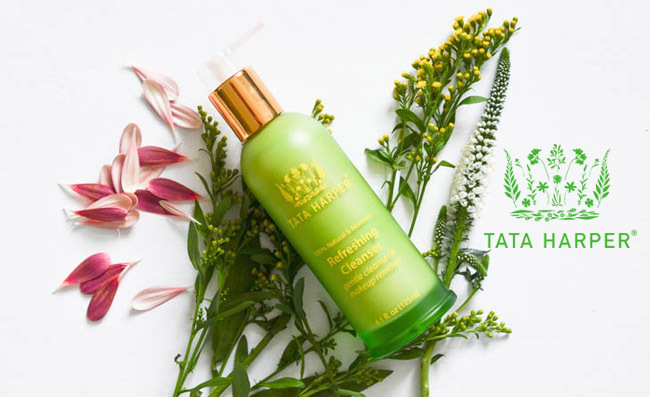 Able to gently exfoliate your skin, the Tata Harper Regenerating Cleanser eliminates build up from the surface of your skin, minimizing the looks of pores. It also deeply cleanses and tones the skin, leaving it well moisturized and suppler. You’d want to use the cleanser for a proper hydration of your skin and a more radiant appearance of the skin too. The cleanser clarifies using the clays, fresh enzymes and essential oils. The Microspherical Apricot Seed Powder polishes and skin, sustaining its balance and glowing look. The formula of the cleanser includes plenty of natural ingredients that are popular for their benefits for the skin. Aloe barbadensis Leaf Juice-it helps when fighting eczema and psoriasis and heals sunburns. It reduces the visibility of stretch marks and moisturizes the skin. It keeps acne under control as well. Sunflower seed oil-it’s loaded with Vitamin E and it’s a great moisturizer for the skin. It has anti-oxidant abilities and keeps the UV’s damage at distance. It treats acne and improves the looks of your skin. It helps against the aging of skin and calms the dry skin, due to its healing properties. Apricot seed powder-it hydrates the skin and increase its silkiness. It increases the elasticity of skin and boosts the collagen production in skin. It contains vitamin A, C and E and sustains the fight against the aging of skin. It repairs the skin damaged by the sun’s UVs and fades out the wrinkles and the rough skin. Rice extract-it’s a reliable ingredient for the allergy-prone and sensitive skin. It moisturizes the skin and increases its flexibility. It minimizes the risk for skin irritation and leaves the skin well hydrated. Punica granatum fruit ferment extract-works for various skin conditions and increases the well-being of your skin. It calms symptoms in eczema, psoriasis, vitiligo and acne. It has anti-inflammatory abilities and controls acne. Willow bark extract-minimizes irritation, healing the skin due to its anti-inflammatory abilities. It treats eczema, psoriasis, rosacea and all sorts of fungal infections. Rose clay-it goes for all skin types as it doesn’t stripe down the skin from its natural oils. It’s also a safe choice for the sensitive skin as it cleanses the skin in a gentle way. It attracts the impurities and oils to the surface, lessening the appearance of oily skin and clogged pores. It reduces the visibility of puffiness and pores, leaving the skin firmer and more lifted. It also minimizes the appearance of wrinkles and fine lines, evening the skin tone. The formula is made with ingredients from organic farming and it’s based on clinical grade essential oil blend. In order to get best results, it’s important to apply the cleanser on dry skin, massaging it gently for increased activation. Use some warm water for a thorough rinsing. You should use the cleanser both in the morning and at night. Some may feel the cleanser is a bit too powerful for a daily use, only applying the cleanser from time to time. We like the cleanser as it’s not rough, leaving the skin not only well cleansed, but also soft and smooth. Your skin gets a healthy glow and a younger appearance. If you’re dedicated to the health of your skin and need a good cleanser that is based on natural ingredients, you should definitely give it a try. Even though you may be feeling like paying the extra buck, the cleanser is totally worth it. Recent reviews on Sugar & Fluff Beauty: the Murad Invisiblur Perfecting Serum, the Tata Harper Resurfacing Mask, the Ogee Jojoba Restore Face Oil, the CLEARstem Acne Scar Removal Serum, the Tata Harper Rejuvenating Serum Review.